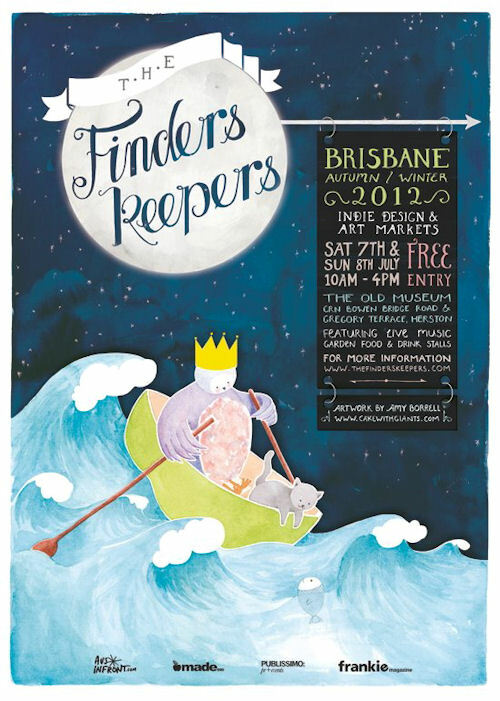 The next Finders Keepers Markets are taking place in Brisbane. There will be over 65 stalls. "The markets brings together new contemporary independent artists and designers. Every market event is unique and we always rotate our designers and introduce new ones, as well as featuring live music and with a garden bar + cafe!"